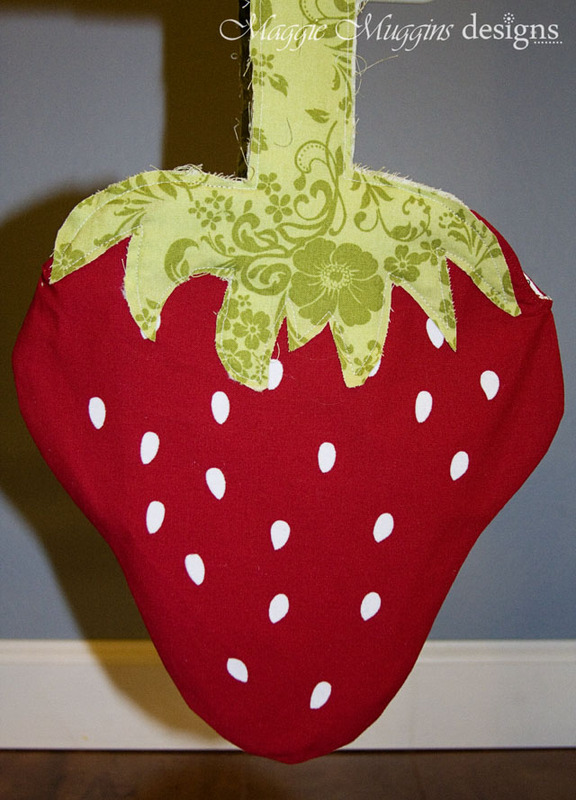 The Original Tutorial for the Strawberry Tote is HERE. You will want to refer to it in order to make the following variations. On Step 5 in the Tutorial don't leave an opening in the lining. 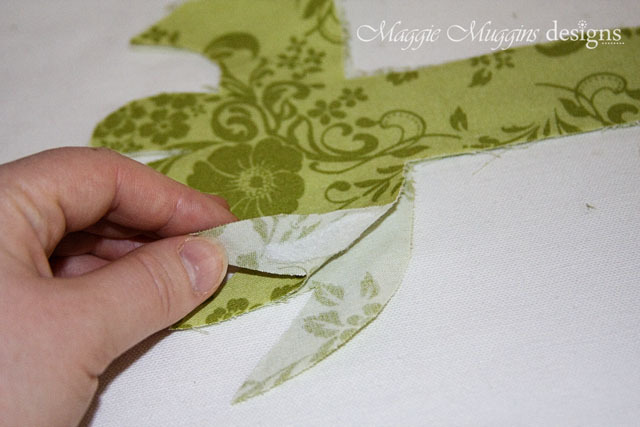 Instead, as you sew around the top in step 6, leave an opening. 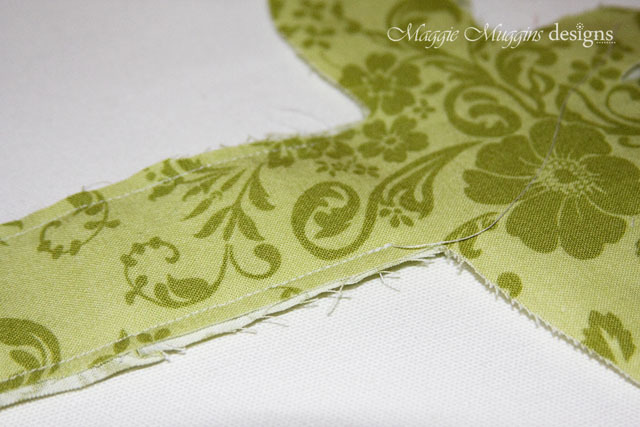 Seam finish and cut the curves as desired. 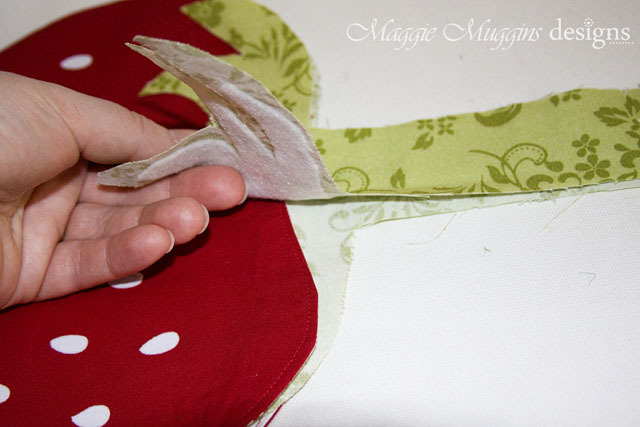 Cut the curves on the opening even, just be careful not to go past where the seam should be. 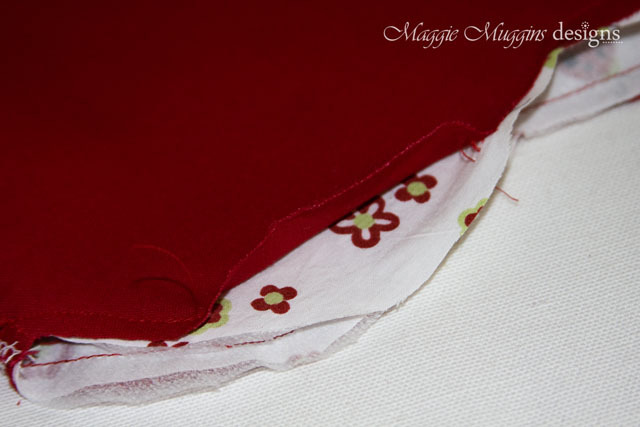 Then pull the tote through the whole and tuck the lining inside the main fabric. 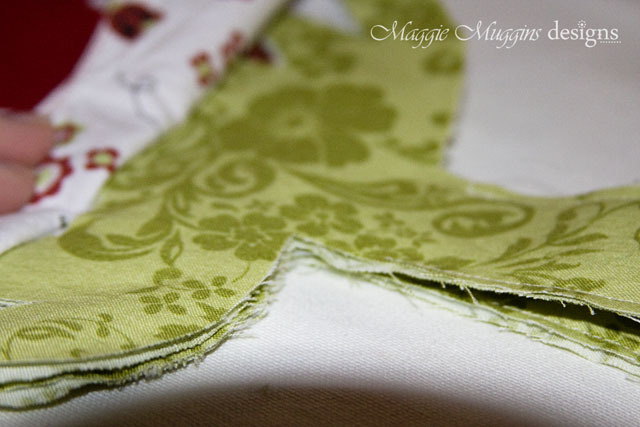 Flatten the seam all around the top and then fold down the seam allowance in the opening, lay it flat and pin it closed. 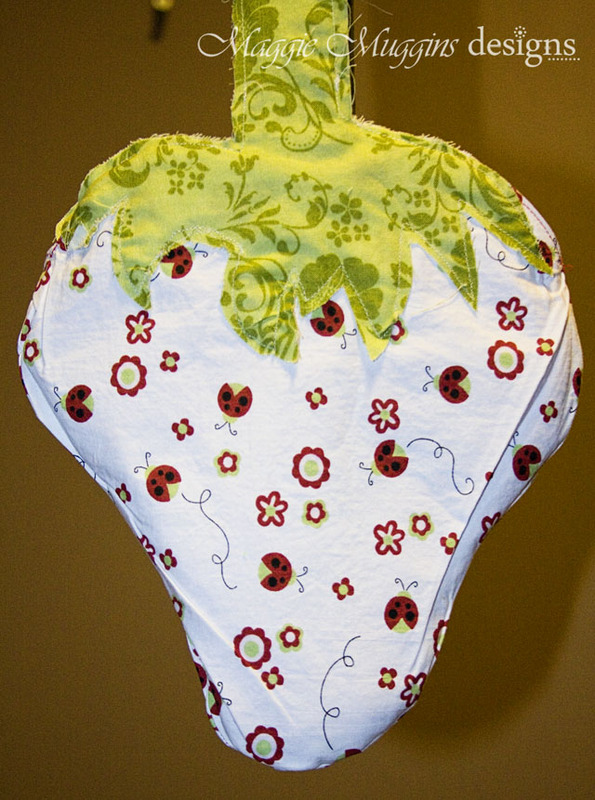 Then sew around the top as normal. 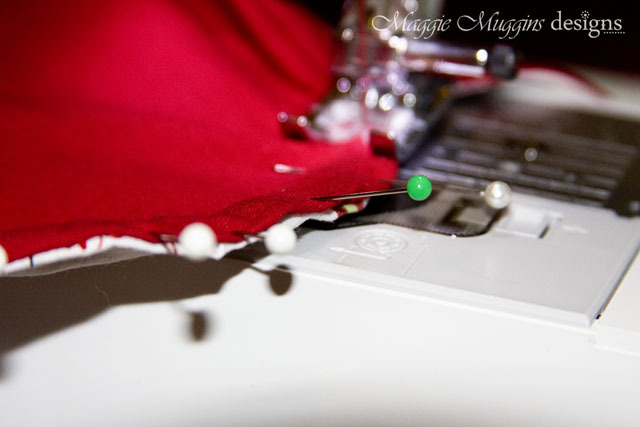 Now you have no stitches in the lining, and even if you messed up on this seam, it's no big deal because you can cover it up with the EASY HANDLE and no one will ever know! Instead of steps 9-13, follow these instructions. Cut the handle to the dashed line instead of the solid (1/4" smaller). 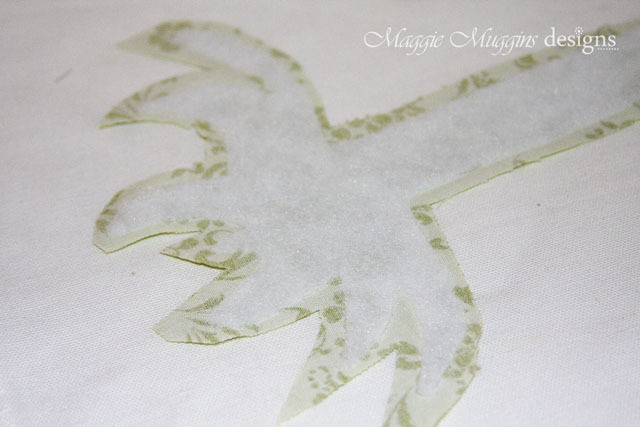 Use this for the Fusible Fleece. 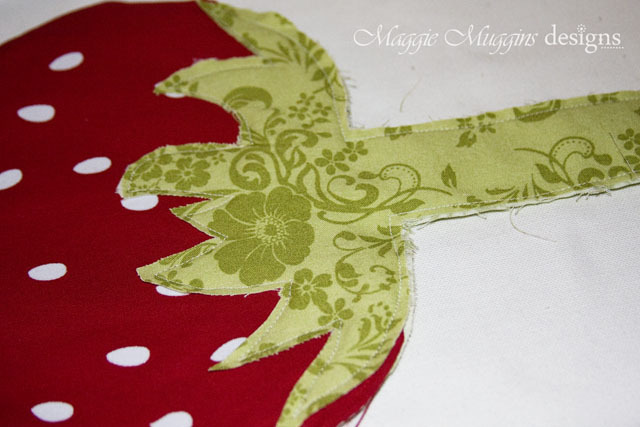 Iron the fusible fleece to the wrong side of one handle. 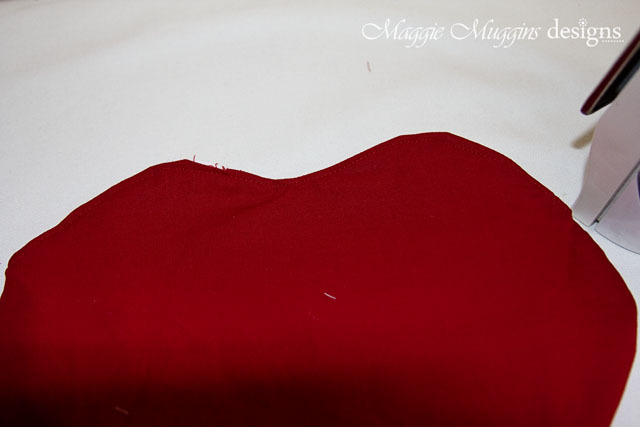 Make sure to line it up so that the fleece is 1/4" in from all edges. Tuck one side of the handle completely inside the tote. 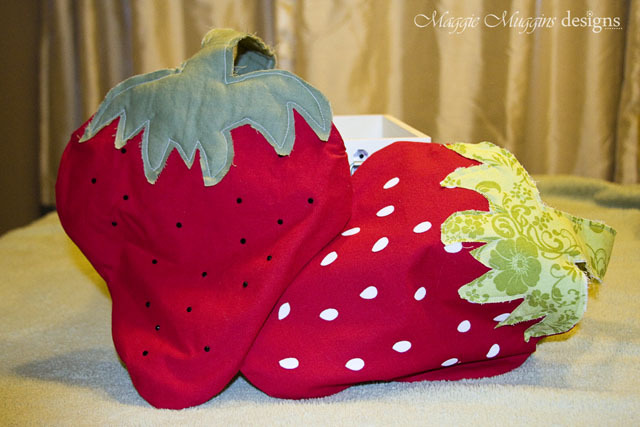 Make sure it is laying flat, then pull the fleece lined side out and lay it on the outside of the tote. 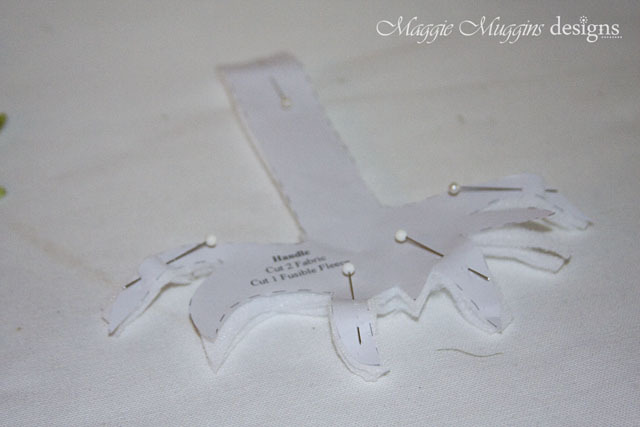 Pin and make sure that all the inside and outside pieces remain lined up to each other (as much as possible). Also pin down the length of the handle. 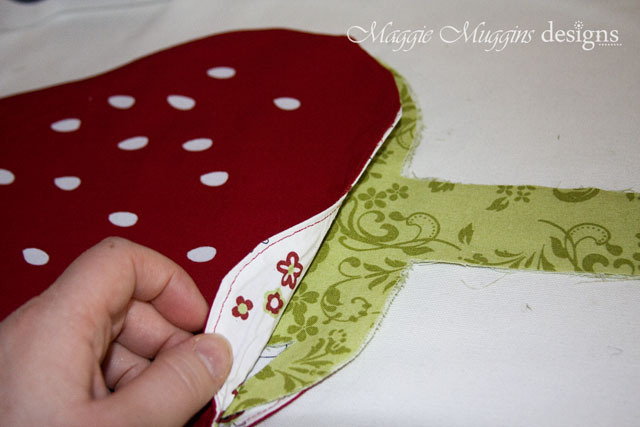 Starting about an inch above the leaves on the unpinned side, sew down the handle, around the pinned leaves, and back up the handle until the same spot on the opposite side. 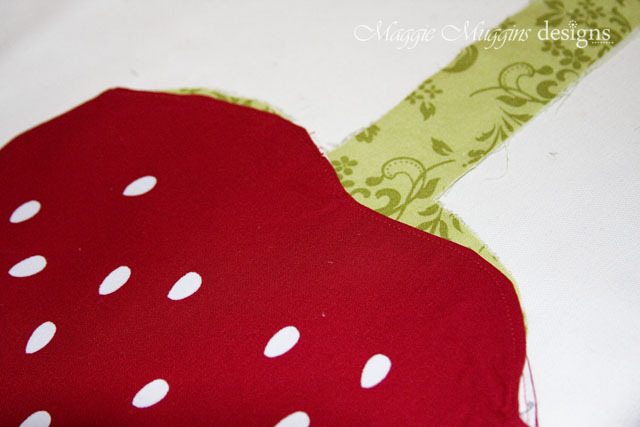 Lay the Tote down and fold the un-sewn side of the handle over to line it up with the sewn side. Tuck it inside the bag, and bring the front piece to the outside. 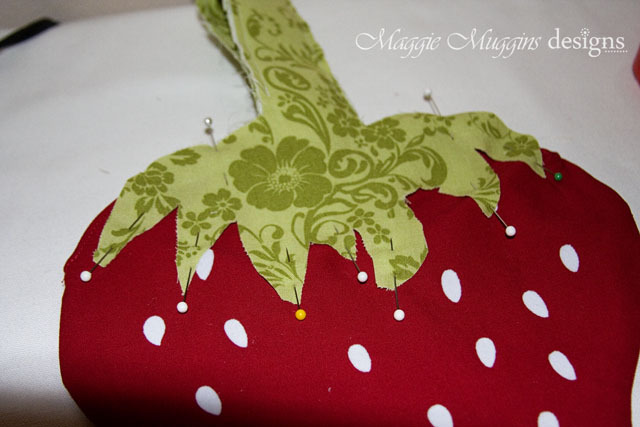 Pin and sew from from where you stopped on the handle to the other side. 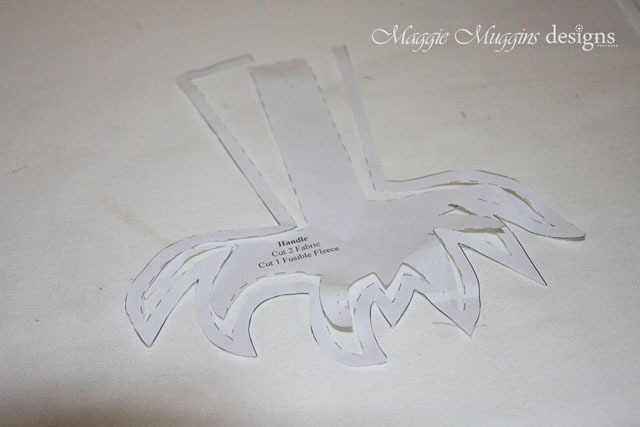 Trim anywhere around the edges of the leaves if it looks funny. Press and you're done!